I've been trying to eat more veggies during lunch time, but sometimes it can be so hard! I've been trying harder to cook more vegetables at once so I can eat them for a few days. 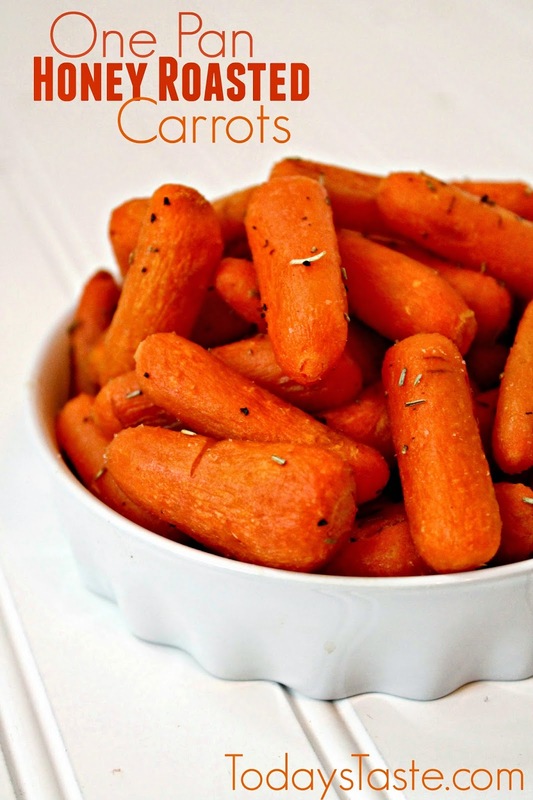 This is one of my favorite recipes for roasted carrots! Spread the carrots in a single layer on the baking sheet. Drizzle the honey over the carrots and sprinkle salt and pepper on top. Bake uncovered, turning every 10 minutes. Cook until just tender (about 25-30 minutes). Serves 6 to 8 people. I sprinkled a little rosemary on top because I love it on my veggies!